Back cover blurb: She can't remember the last year. Her husband wants to keep it that way. When Jo Harding falls down the stairs at home, she wakes up in hospital with partial amnesia-she's lost a whole year of memories. A lot can happen in a year. Was Jo having an affair? Lying to her family? Starting a new life? She can't remember what she did-or what happened the night she fell. But she's beginning to realise she might not be as good a wife and mother as she thought. Jo Harding is a good wife, with a loving husband, Rob and two grown up children, Sash and Fin. When Jo finds herself at the bottom of the stairs, after a violent fall, the paramedics asking her endless questions, her only thought is that she doesn't want her husband near her. But why? He's trying to help? Isn't he? The following morning, Jo realises that she has somehow forgotten all that has happened in the past year. Her Son hasn't just left for University, he has in fact left University early. Her Daughter has a boyfriend that the family don't really approve of, but she can't work out why. And then there's the mystery of her mobile phone. Jo is sure that she didn't break it during her fall. But she has no reason to believe that anything her husband is telling her isn't the truth. So why does she feel so uneasy around him suddenly? And why on earth can't she remember volunteering at a drop in centre with a lovely lady called Rose, whose messages she has found, and who seems extremely concerned about Jo. Jo's only thought seems to constantly be why? And no one is giving her the answers that she so desperately needs. 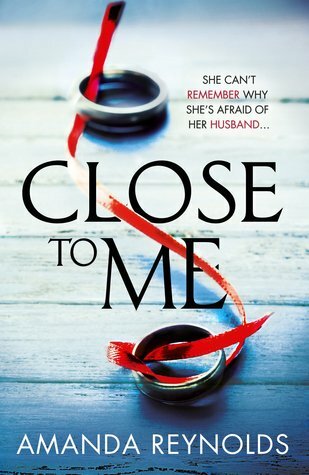 Close to Me is available from 27 July 2017. Thank you to the publishers who sent me an advanced proof copy of this novel in exchange for an honest review.